We thought that it may be helpful if we gave you a sample e-mail with some suggested questions to ask. Of course, you don’t have to stick to these, but we think it covers the basics. If you think we have left anything out that would be helpful to everyone, please comment below. I’m your new Seedy Penpal, I’m excited about what I may send you. What address would you like me to send the seed packet to? I’d like to know about your growing style and space, so that I can send you seeds that will be just right for you. What kind of space do you have to grow the seeds I may send you (eg windowsill, small garden, small holding, soil or aspect limitations)? How would you describe your gardening style (eg allotmenteer, cut flowers, cottage garden)? It would be helpful to give a brief description of what you like to grow, and how much time you can spend in your gardening space, and anything else you feel will be useful for me. Do you prefer edibles, decorative plants or a mix of the two? Is there anything that you would prefer not to receive (eg, I don’t have the time or space to try to grow bananas; I don’t have a greenhouse or polytunnel, I don’t like peas, so there is no space for them in my garden)? I promise to get your packet in the post very soon. 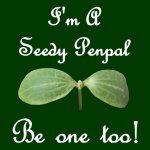 For a summary of Seedy Penpals please click here. 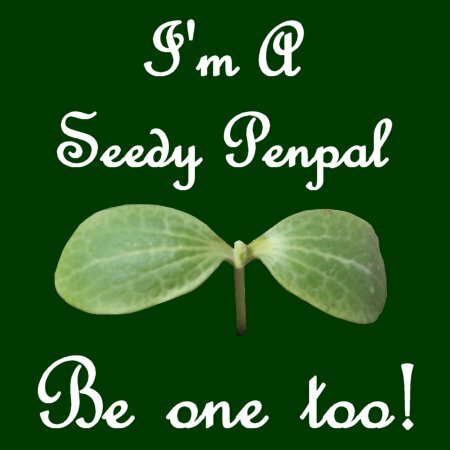 For an explanation of How Seedy Penpals works and to sign up please click here.